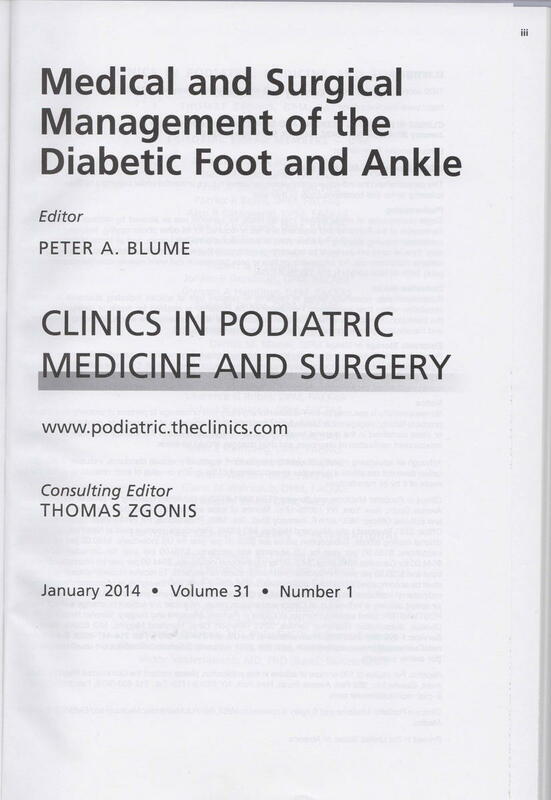 Dr. Peter Blume was recent;y published as the editor of clinics in textbook Podiatric Medicine and Surgery, Medical and Surgical Management of the Diabetic Foot and Ankle (2014 edition). 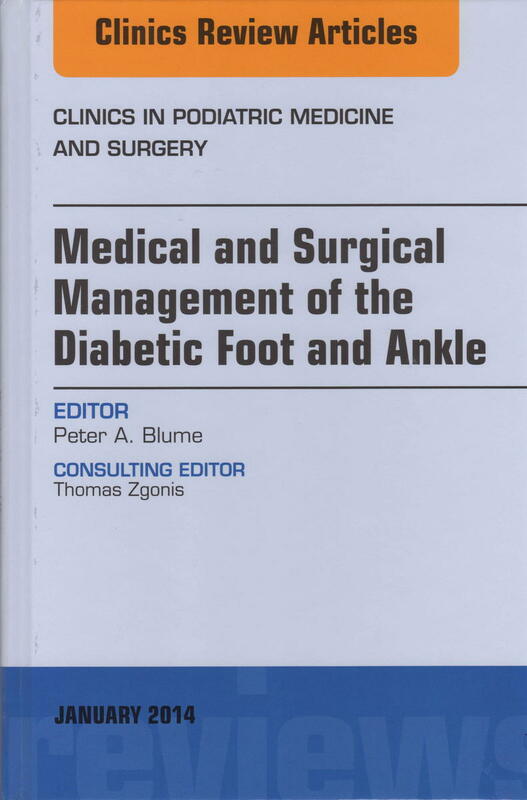 Dr. Blume personally wrote the preface, two of the text’s chapters, and was co-author on two more. You can find copies of the textbook on various e-commerce sites. 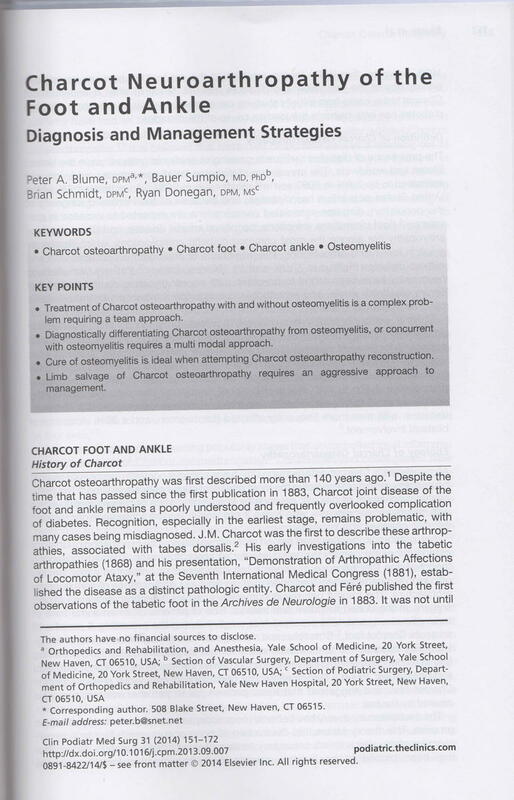 Below, you can find some scans of various pages from the textbook.